Friday evening’s return home from a long day brightened considerably when I found a Fed Ex package on my front porch. It was a heavy, odd sized envelope from a friend in Alabama. Hey, I never get packages from her! It was then I remembered a Facebook post begging her to send me some of her homemade soap. Could it be? I tore the package open wildly to find out. YES!!! I screamed happily smelling the herbs, flowers, Shea and other fragrances billowing out from the package. See my treasures in the photo above! In my childhood years, Grandmother and I made soap on the cool fall days. She would use the fresh cut and grated soap for laundry and bar soap for hands then change recipes for bath soap. I loved the smell of Grandmas line-dried laundry and have the recipes ready to go but have failed to carve out time. I’ve promised my family for years that I would make them Grandma’s soap, but now it’s time to come clean! This special delivery from a very special friend is exactly what I needed to nudge me toward a batch of Grandma’s fresh smelling laundry soap. 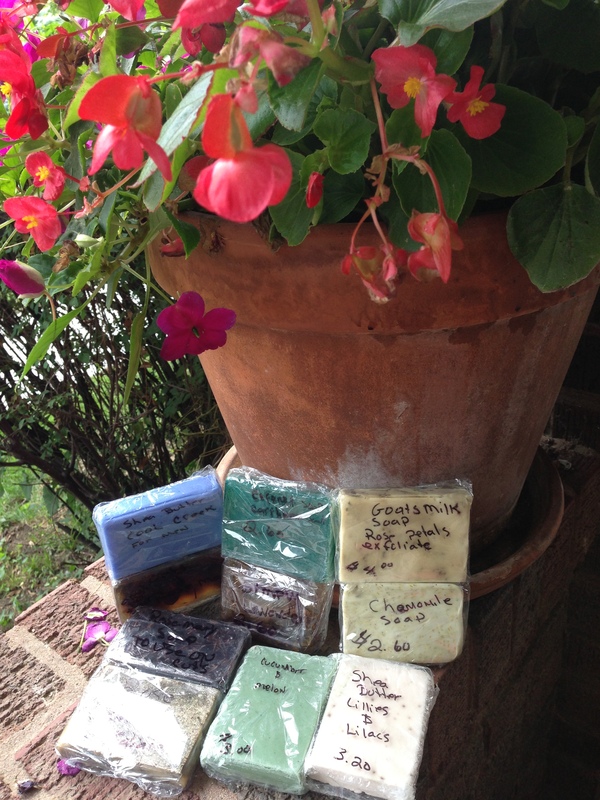 If you wouldn’t mind, I’d love to have your soap recipe too. Please post to this blog. 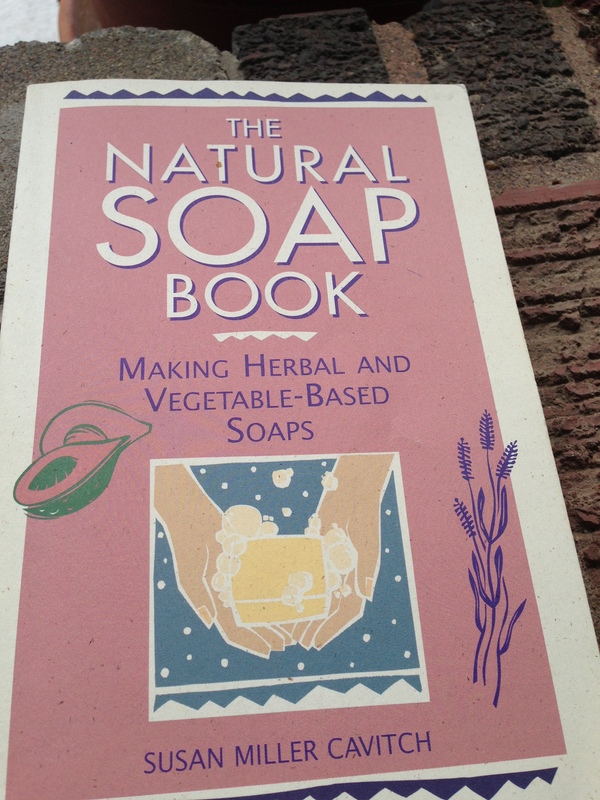 I have the book below for hand soap recipes but will post Grandmas secret recipe next week for you (have to retrieve it from my basement storage). Let’s share soap recipes! Broker for J.J. Palmtag, Inc. Real Estate with offices in Nebraska City, NE, Auburn, NE and Rock Port, MO. (RealtyTalk Blog) Exploring hidden treasures and obvious jewels in our communities. Finding joy in food, gardening and self-sustainability. Discover the richness of "Simple Living." This entry was posted in art, cooking, foodie, gardening, green, health, Nebraska, Self-Sustainability and tagged country, country living, farm, herbs, homemade, simple, soap. Bookmark the permalink. It’s time to take a step back and revisit the great things of our Grandparents generation, and bring back some of the more natural living that was so Americana. I have found making soap is very relaxing plus its HEALTHY…after my sickness I am going as chemical free as I can…I really hope this blogs for sharing soap recipes takes off…perhaps you could incorporate other life changing things to do. Dd you know using pure peppermint is a great way to deal with a toothache and or a teething baby? I have 100’s of ways to use essential oils…..
Bloggers find “Lainey’s Suds” on Facebook to see an amazingly large selection of pure, organic, fragrant blocks of soap for sale. Fabulous….